Banking system occupies an important place in a nation economy. A banking institution is indispensable in a modern society. Banks safeguard money and valuables and provide loans, credit, and payment services, such as checking accounts, money orders, and cashier’s checks. Banks also may offer investment and insurance products, which they were once prohibited from selling. As a variety of models for cooperation and integration among finance industries have emerged, some of the traditional distinctions between banks, insurance companies, and securities firms have diminished. In spite of these changes, banks continue to maintain and perform their primary role accepting deposits and lending funds from these deposits. AB Bank Limited, the first private sector bank under Joint Venture with Dubai Bank Ltd, UAE incorporated in Bangladesh on 31st December 1981 started its operation with effect from 12th April 1982. As of December 31, 2006; the Authorized Capital and the Equity (Paid up Capital and Reserve) of the Bank are BDT 2000 million and BDT 2582.76 million respectively. The Sponsor-Shareholders hold 50% of the Share Capital, the General Public Shareholders hold 49.43% and the rest 0.57% Shares are held by the Government of the People’s Republic of Bangladesh. However, no individual sponsor share holder of AB Bank holds more than 10% of its total shares. Since beginning, the bank acquired confidence and trust of the public and business houses by rendering high quality services in different areas of banking operations, professional competence and employment of the state of art technology. During the last 26 years, AB Bank Limited has opened 71 Branches in different Business Centers of the country, one foreign Branch in Mumbai, India, two Representative Offices in London and Yangon, Myanmar respectively and also established a wholly owned Subsidiary Finance Company in Hong Kong in the name of AB International Finance Limited. To facilitate cross border trade and payment related services, the Bank has correspondent relationship with over 220 international banks of repute across 58 countries of the World.  To find out the reality in practical life.  To fulfill the requirement for the completion of postgraduate program.  To develop the practical knowledge by the practical orientation of work.  To build up the pillar of the career for near future.  To know about the AB Bank Ltd (ABBL) operational activities. The scope of the report is limited at drawing descriptive and analytical rather than critical presentation of AB Bank Limited. Some fundamental steps of research methodology have been adopted through my specialization field of study of BBA program and also from the fields of other areas. In my study I had to go for personal interaction with the organizational people of AB Bank Ltd., (Elephant Road Branch) to conduct the research work. Annual report of ABBL 2007. Three month time is not enough for such an extensive study. It is very difficult to collect all the required information in such short period. ABBL is fully centralized bank and all information is available in head office. Branch gets information when special request is made. Branch employees only know the information that the head office informed. Due to some legal obligation and business secrecy banks are reluctant to provide data. For this reason, the study limits only on the available published data and certain degree of formal and informal interview. A worthwhile study requires the analysis of as much data as possible covering various aspects of the study. But I did not have access to the various types of information about Loans & advances. To protect the organizational loss in regard of maintaining confidentiality some parts of the report are not in depth. I carried out such a study for the first time. So, in-experience is one of the main factors that constituted the limitation of the study. The word ‘Bank’ originated from Italian word ‘Banca’. Banca means long tool. In ancient time Italian Jews merchant used to do business of lending money by sitting on the tools. It is assumed that the word ‘bank’ derived from the word Banca. To meet the expense of war of 117 one-type credit certificates was launched in Italy at an interest rate of 5%, it was called as Monte in Italian language and Banke in German language then German language was widely used in Italy. As a result the word Banke gradually changed to the word Banca from which the word bank originated. The linguistics and etymology suggest an interesting story about banking origins. Both the old French word “Bangue” and the Italian word Banca were used centuries ago to mean a bench or moneychangers table. This describes quite well what historians have observed concerning the first bankers, who lived more than 2000 years ago. They were money changers, situated usually at table or in a small shop in the commercial district, aiding travelers who came to town by exchanging foreign coins for local money or discounting commercial notes for a fee in order to supply merchants with working capital. Most of early bank was Greek in origin. The first bankers probably used their own capital to fund their activities, but it was not long before the idea of attracting deposit and security temporary loan from wealthy customers became a source of bank funding. Loans were then made to merchant’s shippers and landowners at rates of interests low as 6 percent per annum to as high as 48 percent a month for the riskiest ventures. The commercial banking system dominates Bangladesh’s financial sector. The banking system in the territory of Bangladesh grew slowly during the British and Pakistan periods. There were only 25 bank branches in 1901 and the number grew to 668 in 1946. Creation of Pakistan was a deterrent in the sector as was evidenced by the closure of bank branches, which came down to 148 in 1950. In 1965, the number rose again to 545. Subsequent years, however, showed dramatic changes in the situation and the number of bank branches increased to 1,025 in 1970. The banking system in Bangladesh started functioning with 1,130 branches of 12 banks inherited from Pakistan. Subsequently, these banks were nationalized and renamed after being merged into six banks. The new names of the banks were the sonali bank (The National Bank of Pakistan, The Bank of Bawalpur, The Premier Bank), agrani bank (Habib Bank, Commerce Bank), janata bank (United Bank, Union Bank), rupali bank (Muslim Commercial Bank, Standard Bank), pubali bank (Australasia Bank, Eastern Mercantile Bank) and uttara bank (Eastern Banking Corporation). rajshahi, Sylhet, Bogra, Rangpur and Barisal. The paid up capital of Bangladesh Bank is Tk 30 million divided into 300,000 shares of Tk 100 each. The total share capital is fully paid by the government. A nine-member board of directors headed by a Governor as the chief executive oversees the affairs of the bank. Commercial Bank of Ceylone Ltd. There is no independent merchant bank, investment bank or exchange bank in Bangladesh. However, some commercial banks carry out merchant banking in addition to their usual banking activities. Recently, the Securities and Exchange Commission of the country issued permission to 25 financial institutions to do merchant banking. Commercial and specialized banks invest their funds in different sectors of the economy. A total of 22 private leasing companies and financial institutions were given permission to conduct investment activities in various sectors of the economy. The Company was incorporated on 31st December, 1981 under the Companies Act 1913 and listed in the Dhaka stock Exchange Ltd. and Chittagong Stock Exchange Ltd. The Company was also issued Certificate for Commencement of Business on the same day and was granted license on 27th February, 1982 by Bangladesh Bank under the Banking Companies Act 1991 and started its banking operation on 12th April, 1982. All types of commercial banking activities including Money Market operations. Investment in Merchant Banking activities. The Company (Bank) operates through its Head Office at Dhaka and 71 branches. The Company/Bank carries out international business through a Global Network of Foreign Correspondent Banks. Achieving excellence in customer – service next to none and superior to all competitors. Be the most caring and customer friendly and service oriented bank. Creating a technology based most efficient banking environment. Maintaining consistency in improving the service quality and customers’ perception regarding the bank. Making an effective contribution to the overall socio-economic growth of Bangladesh. The coat of arms of the new logo is inspired by traditional ‘Shital Pati’ or ‘Sleeping Mat’. The knit and the pattern of interlace in the new logo that echoes the intricate weave of shital pati symbolizes bonding. This bonding reflects the new sprit of AB Bank. 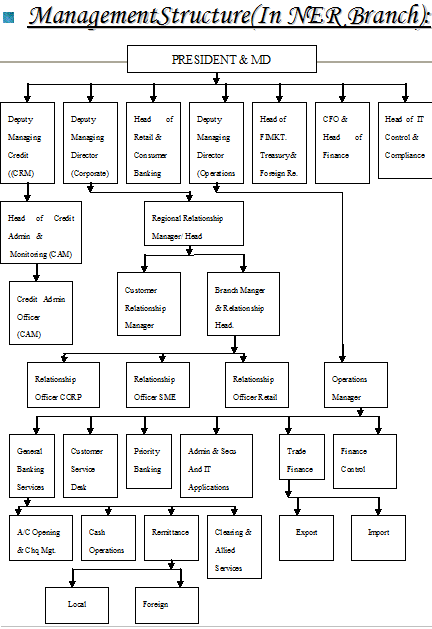 Type of Organization: Private limited company. as full fledged commercial Bank: 27 February 1982.
Credit Rating: Credit Rating Agency of Bangladesh Limited (CRAB) has adjudged A2 (Pronounced Double A Two) rating in the Long Term and ST2 rating in the Short Term to AB Bank Limited for year 2007. Investments: The total investment portfolio of the bank stood at Tk. 8884.60 million in December 31, 2007. The investment portfolio includes treasury bills, government bonds, share of different companies, debentures and bonds, prize bonds etc. The investment is made primary to meet SLR requirement. International Trade: ABBL has designed Trade Finance Products to cope with the changing foreign market arena. The bank offer a broad spectrum of trade finance products namely issuance of documentary credit, advising, confirmations, forward covers, pre-shipment and post-shipment finance, negotiation and purchase of export bills, discounting of bills, collections etc. Import: Import volume of ABBL in 2007 reached Tk. 4844.14 million. The main import items were capital machineries, industrial raw materials like- edible oil, crude edible oil, textiles, fabrics, milk powder, scrap vessels etc. Export: In 2007 the export volume of ABBL reached Tk. 2067.66 million. The items handle in export trade were ready-made garments, frozen fish, and other products. Treasury Operations: Efficiency Treasury management offers exciting profit potential in volatile time when other markers are unstable and insecure. ABBL has got a very efficient manpower to run a local money market as well as foreign currency market in product way. Treasury operation of the bank includes foreign exchange dealings, money market operations, assets liability management and other fixed income products. Assets Liability Committee (ALCO) guided bank’s cash flow and treasury operations. The dealing room in engaged for efficient functioning in the foreign exchange market to hedge the foreign exchange risk and to manage the dealing room with fairness, transparency and discipline within the tolerance. Total treasury operation of 2007 was 1916.00 million. Foreign Inward Remittance: AB Bank has established inward remittance arrangements with a number of exchange houses to facilitate wage earners to remit their money to Bangladesh. Besides, AB Bank signed an agreement with RIA an exchange house having extensive presence world-wide to enhance the remittance network. AB Bank also focusing on enhancing the customer service windows through the existing 70 branches network. Also an ATM based remittance network, predominantly on card base, is being worked upon through the proposed IT Joint Venture with few other Banks of the country.Corporate clients of AB Bank remain another major source of foreign currency. Bank is also trying to broaden its base through solicitation of indigenous export clients. Total remittance at the end of the year stood at USD million 156.36 registering a growth of nearly 19% over last year. Risk Management: The management of AB Bank acknowledges that risk in an integral part of business and gives full cognizance to the importance of various risks involved in the banking business. The Board of the bank and its committees, like- Executive committee and Audit committee work in tandem with the credit committee, Asset liability committee, Management committee and the Internal control & compliance division etc has also endorsed the views of the management and instructed to implement the same in line with Bangladesh Bank directives. The bank has also taken initiatives to structure the banking activities in line with Bangladesh Bank’s risk management guidelines. The risk management of the bank covers a wide spectrum of risk issues and 5 core risk areas of banking; credits risk; foreign exchange risk; operational risk; Money laundering risk and assets liability management risks has been implemented and are being complied. The risk areas are manned and headed by skilled and senior professionals. Off Balance Sheet Items: In 2007 the total ‘Off Balance Sheet’ items amounted to Tk.476.81 million in 2007. Off Balance Sheet items include Letter of Credit, Letter of Guarantee, Bills for Collection, Acceptance Endorsement and other Contingent Liabilities. Correspondent Banking Relation: AB Bank has a very strong Correspondent banking network around the globe. The bank has SWIFT Bi-lateral Key Exchange (BKE) arrangements with 213 renowned banks around the world. The bank is able to carry out their International Trade Business with most of the global trading regions. They have 26 Nostro Accounts with different correspondent banks. They earn interest and rebates on overseas business through these accounts. Due to their strong correspondent relation with overseas banks, they could send 12 officials of their bank to attend foreign trainings or seminars. They enjoy also the credit lines of substantial amount offered by their different correspondent banks, which help them to honor their LCs and fulfill their payment commitments abroad. Corporate Governance: Corporate Governance has been considered most essential aspect for efficient management of a company. AB Bank emphasis on the corporate governance in promoting a sound management. The objective of the bank is to comply with all regulatory requirements, ensure equitable treatment of all stakeholders, confirm full and fair disclosure of financial and all other material information and show respect for norms of business ethics and social responsibility. The Board of Directors, Executive Committee, Audit Committee and other committees of the management of ABB perform their respective part with accountability and transparency. In accordance with the guidelines of Bangladesh Bank the number of Directors in the Board is 13. The Board of Director has two committees, namely Executive Committee and Audit Committee. The Board and the Executive Committee review the policies and guidelines issued by Bangladesh Bank. The Executive Committee approves the loan proposals as per the policies of the Board. At least one Board meeting is held every month. The Board reviews the policies related to credit and other major operations in order to establish effective risk management. The Board ensures the compliance with the rules and regulation of Securities and Exchange Commission (SEC) and other regulatory bodies. The Audit Committee ensures the implementation of policies, manuals, instructions and audit compliance of the bank. The Audit Committee discuses bank’s audit plan and risk management procedures with the management and external auditors. The Management performs activities in line with policies and limits as approved by the Board. Information related to the bank’s risk management, capital adequacy, earning per share and other disclosures as per requisites is provided in the Annual Report to facilitate the valued shareholder to get an overview of the bank. Main Share Holder: Main share holder comprise leading industrialist and business magnets of the country. The Board of Directors of AB Bank 11 directors which include a Chairman and a Vice Chairman. Dividend: The Board of Directors of AB Bank Limited recommend 200% Dividend for the year ended December 31, 2007 after keeping provisions as required by the applicable Acts and Laws. Main Customer: Due to the predecessor company’s involvement investment financing sector of the company the bank inherited its top corporate customers. Moreover the bank is involved in import trade financing. Bulk importers of customer durable, food grains industrial raw materials are its customer. The bank has financed in textile and apparels sectors. The bank has a trend of choosing customers from diversified groups. The bank has first class customers in the construction sectors involved in high rise building heavy construction and roads and high way construction. Corporate Social Responsibility: AB Bank has always been spontaneous in responding to its social commitment. As a part of corporate social responsibility, ABBL has two pronged- policy driven and direct participant through specific program. On the policy aspect bank has set guidelines for industries in various sectors with emphasis on environmental compliance requirements. In certain sector like RMG, Knitwear etc our clients must have to be compliant with BGMEA requirements and also must be compliant on other aspects like minimum wages. For steel Re-rolling mills &others types of manufacturing concerns safety & waste disposal standard norm is one of the deciding factors for credit extension. In respect of trade finance for fertilizer chemicals etc adherence to the respective regulatory certification and storing conditions is mandatory prior to extension credit or service prior. Arab Bangladesh Bank Foundation is the vehicle for specific program oriented CSR activities of the Bank. AB has been active all-through in the sports area for quite sometime now. Like Cricket tournament, Table Tennis & Volleyball in different forms through organizing tournaments or through sponsorship of particular events. In 2007, AB Foundation participated disaster relief operations for the landside victim in Chittagong; SIDR affected people of the coastal areas and for the flood affected people across the country. Banks also run a media campaign for SIDR rehabilitation program. Foundation also contributed taka 2.0 lac towards Sabina Yasmeen Chikitsha Shahayok committee fund for treatment of this renowned singer of the soil. Also participated in the TrainingAcademy of the Dhaka Stock Exchange. About 8.0 lac taka was donated for the DSE training academy. AB also has been a regular contributor to the Bangladesh Institute of Bank Management. Information provide to the customer about the product. Call those customers whose cheque is returned.